This piece of Swarovski crystal is so pretty in color. 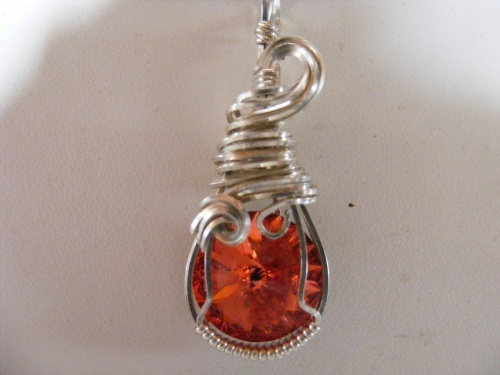 Name of the color is Padparadscha. Sculpted in argentium silver comes with an 18" sterling silver chain. Piece measures 1 1/2" from top to bottom.